IMPORTANT ANNOUNCEMENT: To all those who are asking for our preparations for the Seagames, we are shaking the team right now for that and our main goal is a shot at the Tokyo Olympics of 2020 which we never had since 1992. The qualifying points will start this October and the campaign starts at that month. Since the Seagames 2019 will be held in November, the team and cyclists who have campaigned for the Olympic points (ending Oct 2019) will then be highly prepared for the Seagames. Our renewed campaign is being supported by Air 21, LBC, Standard Insurance, Go for Gold, MVP Foundation, 7-11, Cong. Abraham Tolentino and of course, PSC and POC. As a result of that vision, the Board announces that the Federation has dissolved the Road and Track Cyclists and Coaching Staff, the dissolution of which takes effect on September 15, 2018; to give way to the formation of the super team which has been floating over the newspapers for several months. The initial list of cyclists composing the National Team shall be based on the UCI ranking and the ranking they may have from local and international competitions. The coaching slates are also open to all applicants who are duly equipped with proper certifications as to their level of experience, education, ability to discipline the athletes and psychological ascendance. Thus the criteria shall be objective in character. 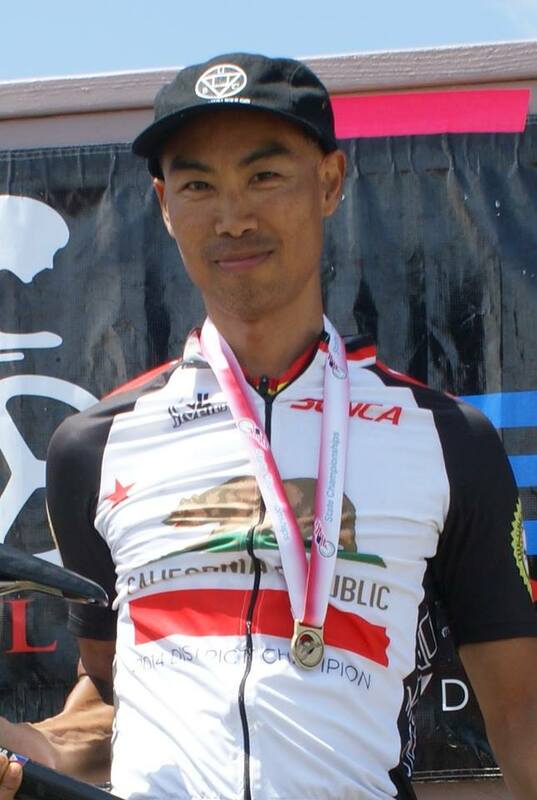 Director Lorenzo Jun Lomibao Jr. has been designated as Head of the qualification/selection of cyclists, coaches and their staff. Applications may be directly sent to philcycling@gmail.com in pdf form. Should you have submitted before, you are advised to re-submit your applications together with all the attachments you may deem best evaluated. You may also send your application via surface mail to Philcycling at Sumagui Law Office, Mendez Crossing, Tagaytay City, 4120. The application is not limited to Filipinos as we are also accepting applications from Foreign Coaches. Without a vision, we may never attain the best for our cyclists. Critics will say it is an impossibility to be in Olympics, but if we don’t give it a shot, then truly it will be impossible because we have never tried. God be with us on this endeavor. BECAUSE of the recent success of Danao City’s hosting of the 2015 Asean MTB Cup last weekend, Integrated Cycling of the Philippines (Philcycling) president Abraham Tolentino thought it best to bid for the hosting of the Asian Mountainbike Championship. Tolentino was in town to witness the Asean MTB, which was held in Manlayag, Patag in Danao City last weekend. Tolentino said they came to show the support of the race, which is rated Class 3 by the international governing body, UCI. “If we can win the bidding, then we would ask the Philippine Sports Commission for support,” he said adding that Danao would be a perfect candidate for the venue because of its world-class tracks and because the City has always given its all out support to the sport. THE PhilCycling—inspired not only by the competitive nature of its sport but more importantly its contribution to saving the environment—will push for the reactivation of cycling as a regular sport in the Palarong Pambansa the soonest in 2016. In a resolution forged during the federation board’s meeting that coincided with the kickoff leg of the Asean Mountain Bike Cup Series in Danao City, Cebu, on Saturday, PhilCycling Chairman Bert Lina and President, Tagaytay Rep. Abraham “Bambol” Tolentino, and the board agreed the annual Palarong Pambansa would significantly support their grassroots development program centered on finding young talent and developing them into potential national athletes. But the competitive aspect of cycling is just one of the objectives why the PhilCycling wanted its sport back in the Palaro. “Cycling is no longer just a sport or a hobby or a form of physical fitness—it is an advocacy to help save the environment,” said Tolentino, adding representations will be made with the Department of Education through Secretary Bro. Armin Luistro and Assistant Secretary Tonisito Umali, the Palarong Pambansa Secretary General. “The campaign to use the bicycle practically every day—as a mode of transportation to and from the work place and schools—has gone global and almost every country in the world is one in promoting the bicycle to help halt global warming,” said Lina, considered as the godfather of Philippine cycling, and who bankrolls the annual international multi-stage Le Tour de Filipinas. Former Tour champion Modesto Bonzo of Pangasinan initiated the move to bring cycling back to the Palaro. 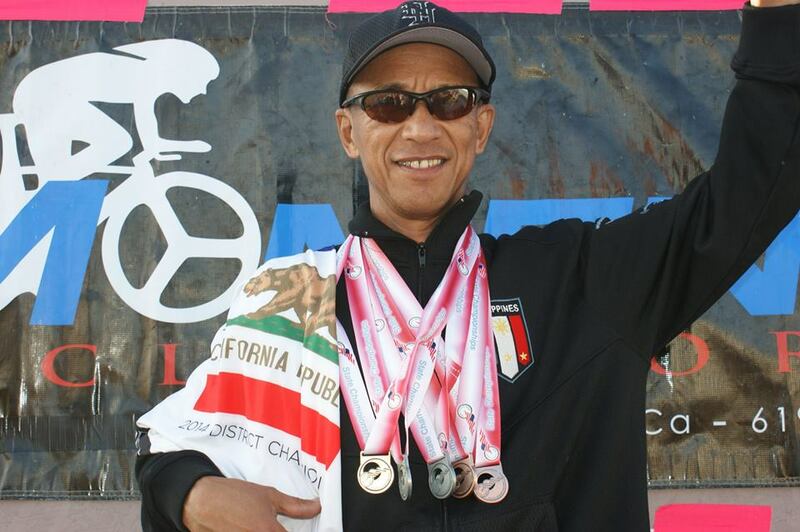 He was fully backed by fellow-ex champion Paquito Rivas and former stars Juancho Ramores and Cornelio Baylon, who both started their illustrious careers in the Palarong Pambansa as cyclists during their high school years in the 1970s and early 1980s. Danao City Administrator Oscar “Boying” Rodriguez, the PhilCycling Technical Commission head, vowed to encourage his province of Cebu to help in the campaign and pledged to create a mountain bike program suitable for kids of elementary and high school age. 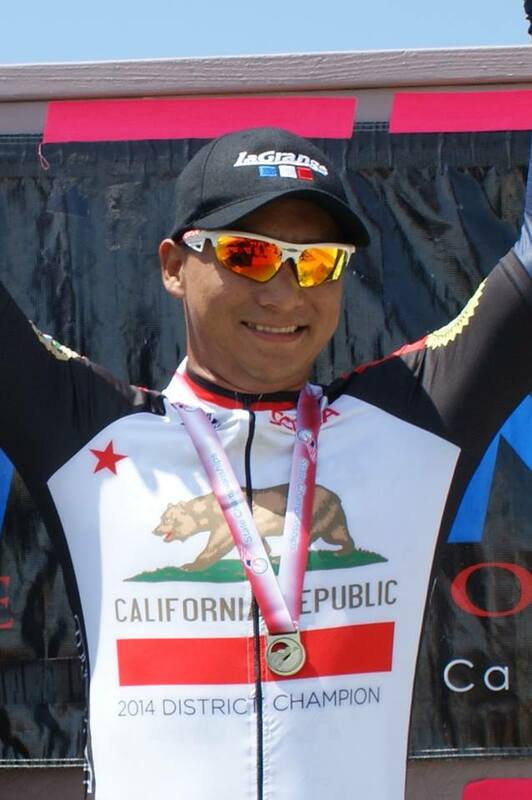 Please congratulate former National Track Team Cyclist Wilson Blas﻿ for winning races on both Southern California / Nevada Cycling Association’s (SCNCA) 2014 Elite and Masters Track Championships! That’s 4 gold medals and a bronze medal! Back-to-back Tour of Luzon cycling marathon champion Cornelio Agaid Padilla Jr. died of heart failure at St. Luke’s Global City Medical Center on Sunday (December 8). He was 67. Padilla carved a name at the pinnacle of national sports in the 1960’s when he won the grueling Tour of Luzon cycling championship twice in a row, in 1966 and 1967. His popularity soared during the time that his victories were widely credited to have placed cycling in the national sports consciousness. In 1966, Padilla topped the 15-lap TOL, clocking 60.45.31 in 1,999.82 kilometers of bicycle race. 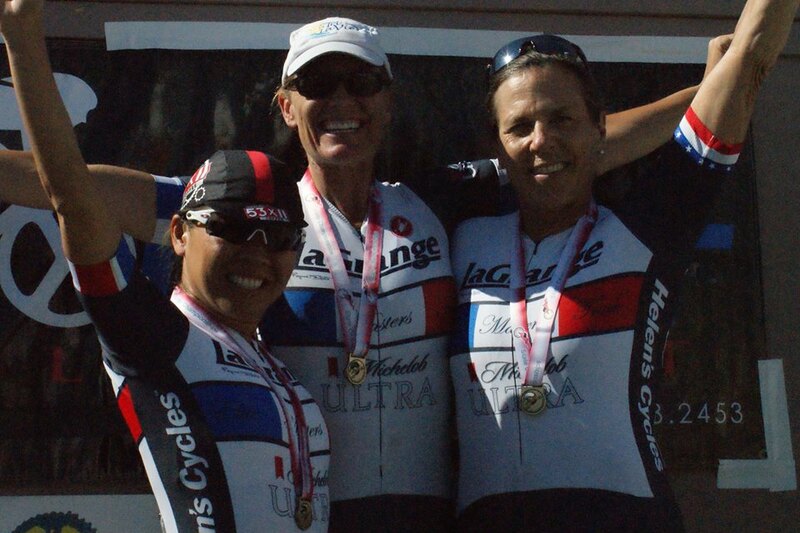 The following year, Padilla again emerged on top after eight laps of cycling. He clocked 70.34:57 for the 1,634-kilometer competition. Known as Paddy to friends and family, Padilla retired early from the sport in order to devote his time to his college studies. His winnings helped him finish a law degree at the Far Eastern University. As a lawyer, Padilla became a member of the the legal department of Cacho Printing press before his stint at the National Book Store as personnel manager and house lawyer. He worked his way into the corporate ladder to become one of the NBS’s top executives, handling the firm’s vast human resources department. Padilla also spent much time to humanitarian service by making himself active in Rotary International activities. He was charter member of the Rotary Club of Quirino-Quezon City under RI District 3780, serving as its president from 1994-95. “He excelled in sports in the same manner he won the hearts of many Rotarians for his unstinting efforts to serve above self,” said former Assistant Governor Fol Rana, former RCQQC president. The late cycling icon remained loyal to cycling until a heart attack struck while negotiating steep Antipolo mountains on his racer bicycle some 15 years ago. He survived but decided to give up cycling as part of his exercise regimen. Padilla turned to bowling to become one of the top caliber bowlers of Rotary. Manila-born Padilla is survived by wife, labor attaché to US Luzviminda Gumatay-Padilla; and children, Jennifer, May, Nathalie and Eli. His remains lie in state at the Funeraria Paz on Araneta Avenue, Quezon City. Interment will be announced later.